With about 185,000 inhabitants, Geneva, or Geneve, like it is called in the French-speaking part of Switzerland, is the second-largest city of Switzerland. Geneva or the ancient Genava was integrated in the Roman Reich already 120 before Christ and in the period following was again and again the centre of battles about the control of the city. Thus, in 443, Geneva fell under control of the Burgundians who in 534 were taken over by the Franks. In 1033, the church took on control, Geneva became an imperial and bishops city. The early 16th century was important for the further development of the city and today’s Switzerland. First of all, the Genevese entered an alliance with Fribourg in 1519, in 1526 with Bern and due to the reformation which was decisively marked by Johannes Calvin (around 1536) later became the objective of French Protestants. Thus, it is not surprising that the two prophets Rousseau and Voltaire became citizens of the city Geneva. For a short time, France extended its power on Geneva City – after the French Revolution, Geneva was annexed until 1813 and after the recovered independency became the 22nd Swiss canton. Today, Geneva is above all known as the headquarters of international top alliances of peaceful kind. 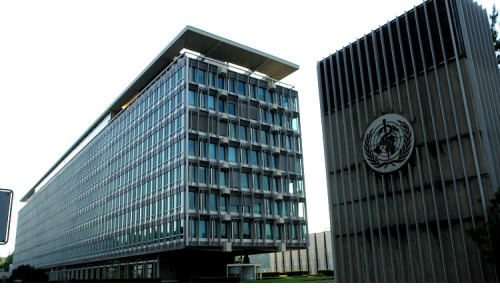 For example, Geneva serves as the European headquarters of the United Nations (UNO), the headquarters of the World Trade Organisation (WTO), the World Health Organisation (WHO) and the International Committee of the Cross (IKRK). One of the founders (1864) of the last one was Henry Dunant. Other contracts concluded in Geneva are of internationally political importance as well. For example, the Geneva Convention today still sets the standard for the fundamental, human dealing in war zones. The United Nations as well originate from the Swiss Geneva (1945). Apart from international policy, there exist many other historical attractions visited by visitors from all over the world again and again – or simply profane holiday and relaxing destinations. Apart from politics, travellers will also find relaxation, surrounded by mountains, directly at the Lake Geneva, even if it is regularly disturbed by the automobile industry when the Geneva Autosalon Fair is opened.